Using drones for business purposes has become part of modern life. 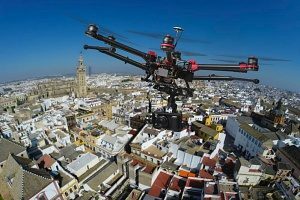 Even if you do not personally observe a drone whizzing by or hovering overhead, you certainly see the videos and photographs taken by its cameras. The entertainment and news industries are already pushing the boundaries of drone use as they seek the most dramatic shot. They are not alone – other industries have begun to implement drones in their operations. Real estate brokers use them to get fantastic aerial images of estate properties. Drones make it easier for appraisers to access difficult-to-reach parts of their client’s properties. Scientists can study data collected by drones from dangerous environments or high altitudes without risk of bodily injury. Few industries, however, are using drones like law enforcement. The Center for the Study of the Drone, a research institute based out of Bard College in New York, reported that at least 347 local law enforcement, fire and emergency responder agencies had acquired drones as of the end of 2016. Drones are becoming indispensable to law enforcement for rescuing people who have become lost in the wilderness. Or, in the aftermath of a disaster, drones have proven to be useful in many ways. 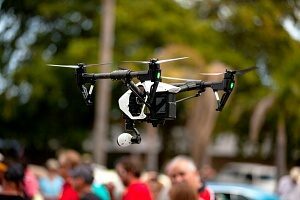 After a hurricane or after a major building fire, for example, drones can go airborne and allow law enforcement to gauge the extent of damage. They can safely scan for hot spots smoldering after a fire. Using drones, they can survey large areas of a disaster area immediately afterward. They enable law enforcement and search and rescue personnel to assess the circumstances even before the area is safe for humans to enter. The drones can be equipped with thermal imaging cameras and quickly locate survivors. Nighttime and foul weather are not the obstacles they are to human first responders. GPS systems allow them to deliver emergency supplies when helicopters cannot. Additionally, drone-collected data is useful to developing rescue plans and monitor the operations in real time. Law enforcement is using drones for a myriad of surveillance activities. Drones allow law enforcement to quietly monitor locations where criminal activity is ongoing. They can locate illegal marijuana and poppy fields. 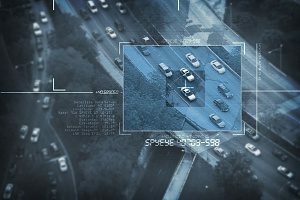 Not only can drones do detailed surveillance from the air, they can also monitor activity while not in flight. A small drone can perch on a tree branch with its camera operating, even if the drone is not airborne. Drones make surveillance possible in locations where law enforcement could not otherwise do it and remain undetected. Drones are being used extensively along the U.S. southern border to assist in efforts to combat illegal border crossings. Police use drones to find stolen equipment and track down fleeing suspects. Drones allow police to safely pinpoint the location of an active shooter. Once the shooter is located, the drone can surveil the surrounding area and provide information that is useful to tactical teams. Drones outfitted with 3-D mapping technology allows law enforcement to see detailed imagery of the scene and reconstruct what happened. This technology saves time by avoiding the long man-hours sometimes required to reconstruct events from 2-D photos and manual calculations. At large events, drones are important in supplementing the officers on the ground in monitoring crowds. The drones provide a birds-eye view of the crowd size. Pair a drone camera with facial recognition software and pick someone out of a crowd. 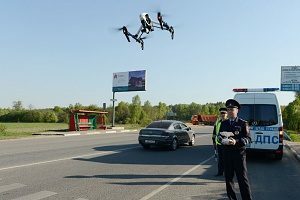 The drone camera can zoom in on the individual and track the person through the crowd enabling police on the ground to apprehend the person if necessary. The legal limits on police use of drones are unsettled. However, concerns over invasion of privacy will have to be balanced against the need to use drones for public safety. Police will have to rely more on drones to do their jobs effectively. Even as growth of drones in law enforcement is exploding, criminals are using drones now too. Gang drones recently interfered with the efforts of a hostage rescue team. Small drones flew in all around them, buzzing by them at low altitudes and high speed trying to surveil the officers posted at observation points. Nothing stops criminals from using drones to rob people or commit acts of violence. Gang drones are watching law enforcement agency facilities to monitor who goes in and out of the buildings. When they identify someone who is a cooperating witness, the gangs dispatch members to intimidate them. Drug gangs use large drones to smuggle drugs in to the country. They have even been placing explosives on the drones so they will explode if intercepted. Gangs have begun hacking into police drones and using technology to combat them full scale. The police have to stay ahead of them with even more sophisticated, encrypted technology. One way to do that is to develop drones that resemble birds and insects so that they are harder to detect with the naked eye. The technology they use must enable police drones to penetrate criminal defensive technology. Law enforcement’s reliance on drones is generating a source of business for drone manufacturers, pilots, technicians, operators and those with expertise in the kind of drone operations the police need. The nature of police drone activities can present higher than usual risks of injury and property damage. If you are providing contract services for them, you may be required to obtain drone insurance. Whether you have minimum coverage for your drone business or not, make sure you have adequate coverage for the drone activities you are performing and the associated risks. No matter what kind of drone business you operate, you should consult a drone insurance broker who is experienced with drones and their risks to make sure you are fully protected. For a free consultation, contact a drone insurance broker as soon as possible. Previous Post: « Can I Insure My Drone Against Third Party Injuries?